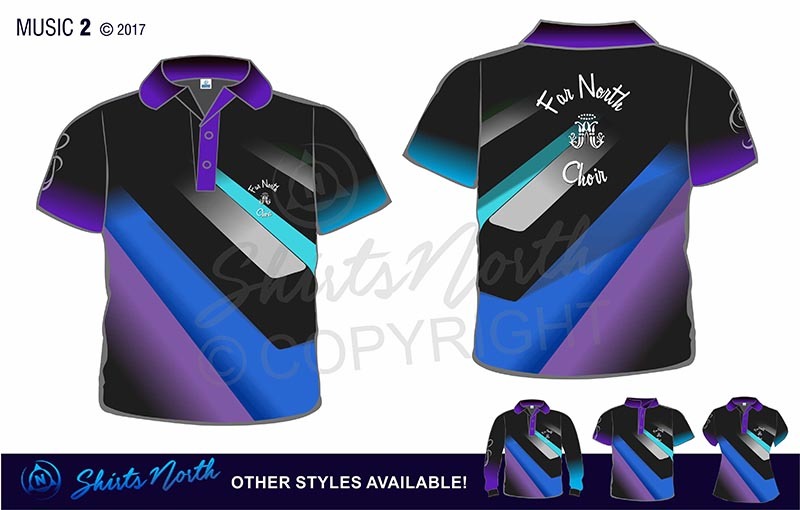 Looking for a unique sublimated music polo to enhance the talents of your group? 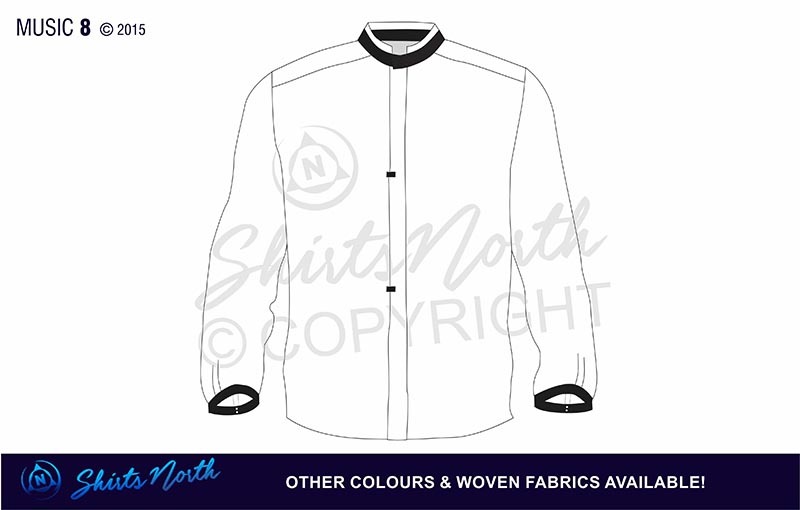 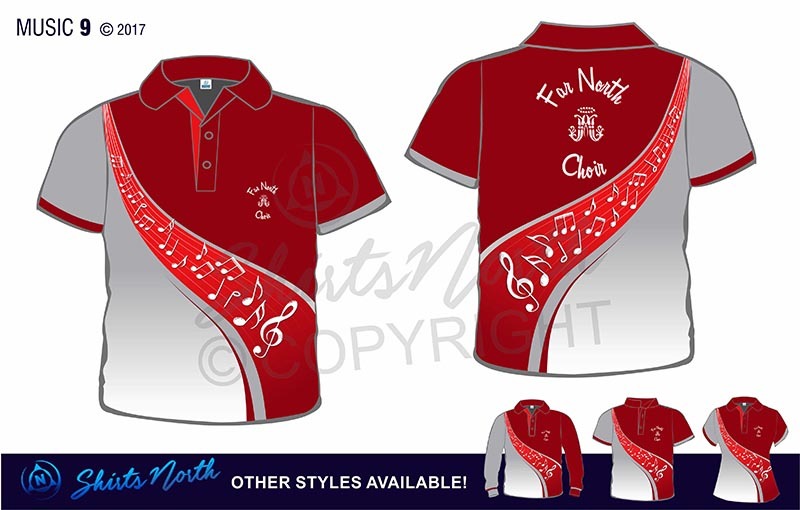 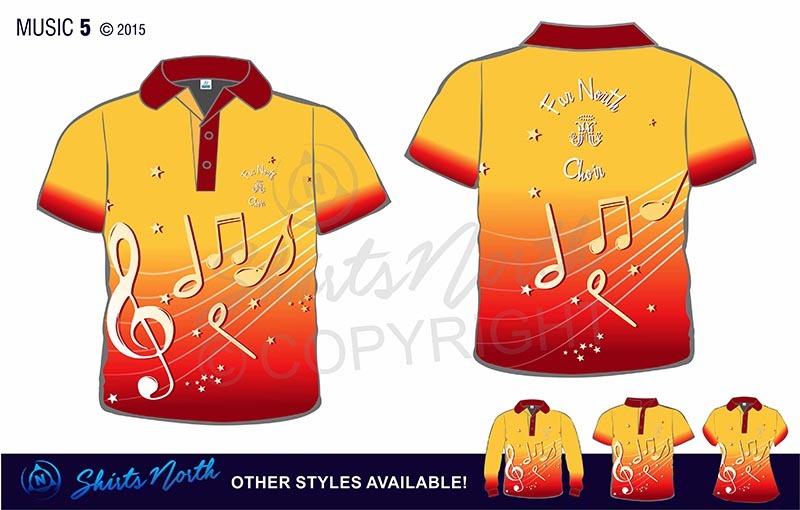 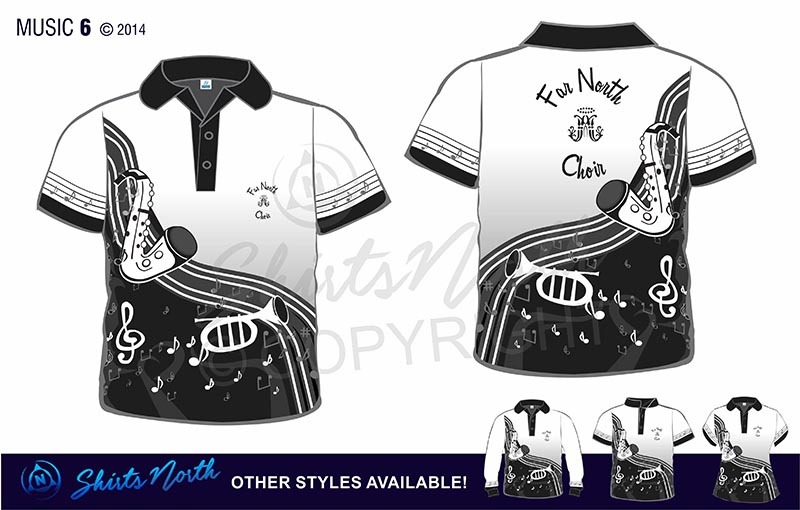 Sublimated music polos make a unique difference to the creativity of your music group. 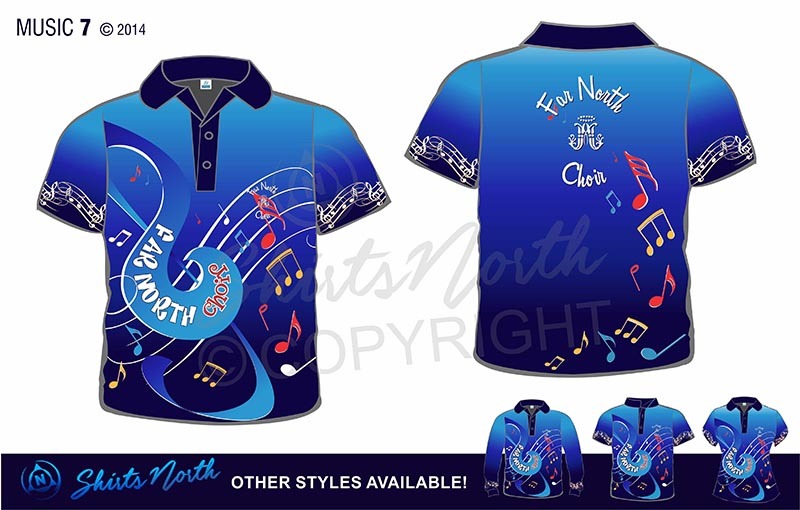 Add to the fun of sound with designs from Shirts North or design your own music polo! Either choose from our designs below or send us your creation and we will bring it to life! 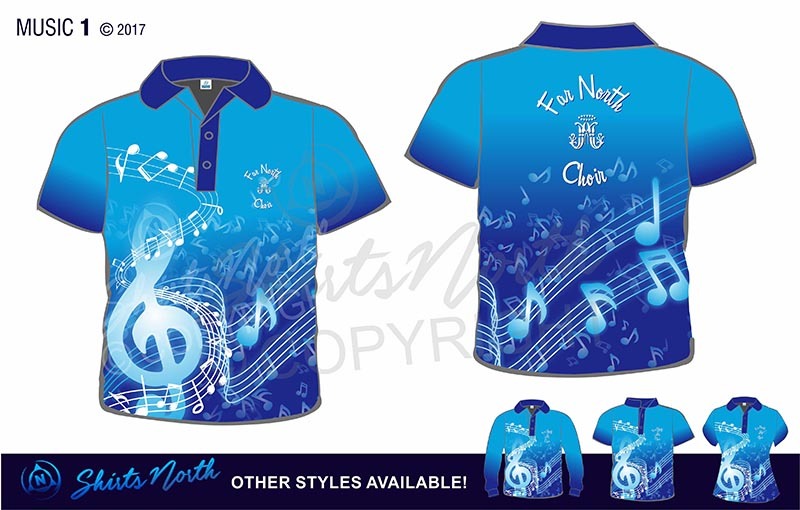 All designs can be in any colour you like! 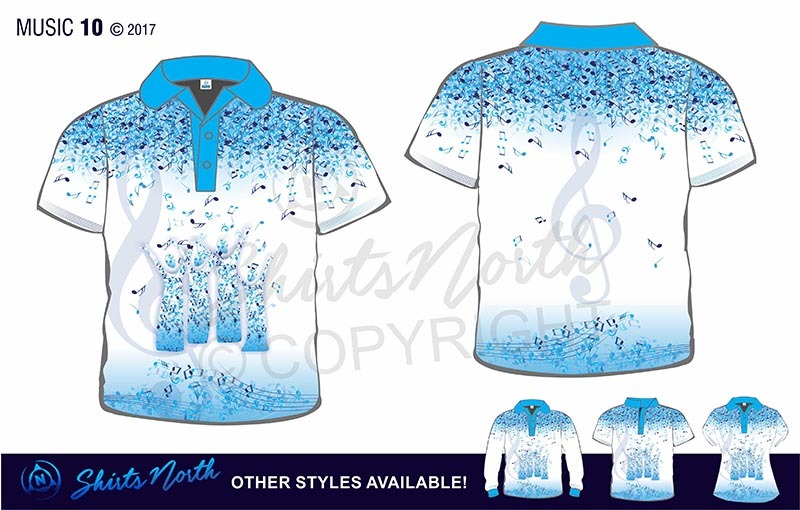 Call us on 4053 7355.